We booked this hotel due to its proximity to the hydro as my friend has some mobility issues. We asked for a ground floor room and we got this. It was clean, comfortable and plenty hit water. No hand towels though, we had to ask. No glass to put your toothbrush in. I rated the staff good. I just felt we didn't get a warm welcome on arrival. Receptionist wasn't unpleasant but rather corporate. A nice smile and good afternoon wouldn't have gone amiss. This stopped m giving 5 stars to staff. Quite happy to pay for my breakfast, good quality, and plenty of choice. But having to pay for wifi? Really? In this day and age? Location for hydro was perfect room clean and a good size only down side was bar running out of draught beers and Smirnoff and also trying to charge us for a breakfast we never had. Someone had given our room number so a tighten up here is required. 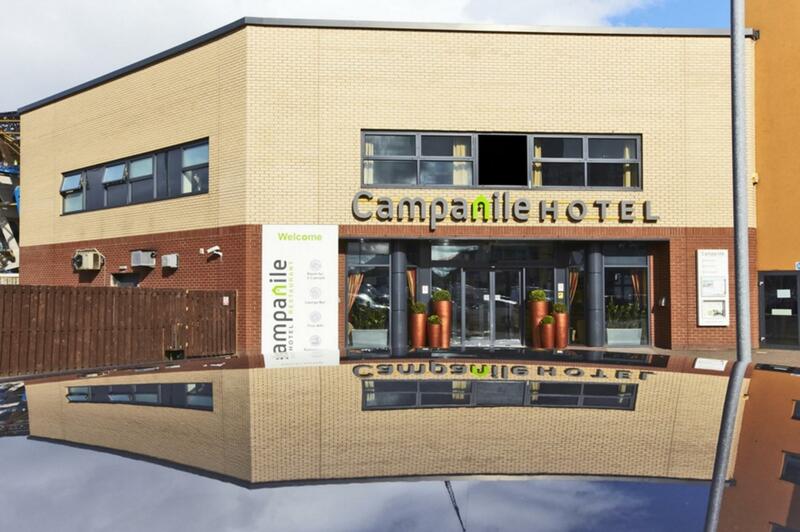 Campanile Glasgow is a hotel with simple rooms and facilities. During our short stay in Glasgow it was fully satisfactory as we were staying there only during the night to fetch some sleep and discovering the city during the day. We were met by the lovely Maria at Reception. Maria was bright, cheerful, professional and friendly in our exchanges, and obviously liked our little dog Nessa. Our room was more than adequate for a quick stopover and importantly was immaculately clean, so a special mention to the housekeeper please. It was great for us to be able to have Nessa with us, and one of the reasons I booked here. Only area where slight improvement would make a big difference was the restaurant in the morning. Obviously there is a large footfall during peak times and it appeared that one lady was trying to do it all. Consequences - no fruit salad, didn't see any yogurt, no teaspoons, had to acquire cereal spoon from other table, many tables uncleared, one lady working hard to keep on top of it all. I must add that on request the very busy lady appeared with gluten free bread for me quickly. Would I stay here again - yes indeed. I got a great deal, had my fur baby with me, staff were lovely, very clean. Hotel and room were spotless. An ideal location for SEC concert goers or those wanting quick access to the motorway. A little understaffed for a busy weekend due to a thee day concert, however the staff managed well and all with a friendly welcome! I stayed overnight with my disabled sister and the staff were extremely helpful throughout our stay. First class treatment in a first class hotel. Highly recommended. room was noisy. quite a lot of light was getting in from the adjacent car park dispite the curtains being close. decoration was tired, looked a bit dirty in places. staff were very friendly and helpful. car park was nonexistent, ended up parking about a mile away from the hotel in a back street. the car park at the back of the hotel costs £20 a day. Excellent friendly staff. Very helpful. Great breakfast. Clean rooms. Lovely firm comfy beds. No heating in large bathroom. Had to wait half an hour for food and when it did turn up it was cold. 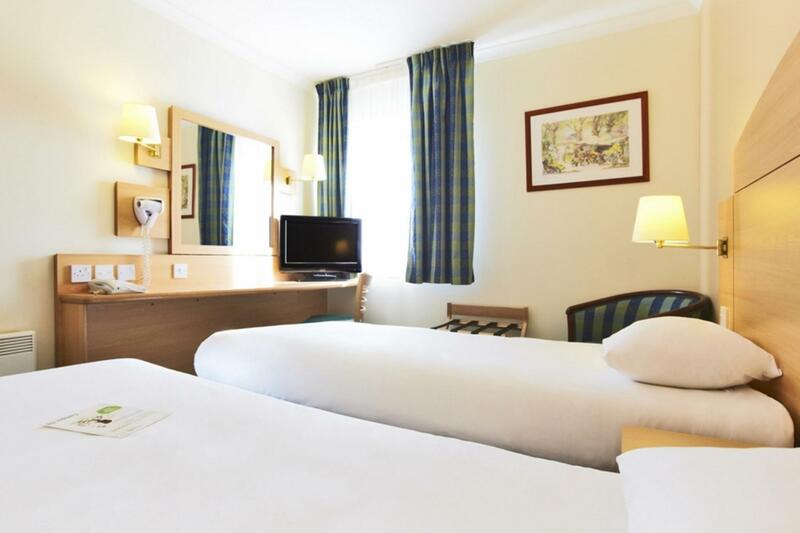 Another stay at Campanile , location perfect city centre within walking distance (15 mins) , room clean , staff very helpful . Fish and chips excellent value for money . Will be back for Christmas shopping , hopefully before that . Only issue we had with the hotel was the maids wakenening you up early to see if you wanted the room cleaning. We only had the room one night and booked the hotel as it had a 12noon check. This was disappointing but I addressed it with the receptionist and she agreed this should never of happened. We were given room 122 which has a very large wet room. No one in our group required this facility. The problem was, the shower water did not run down the drain because it was not low enough to allow the water to escape. The toilet was at the back of the wet room which meant 3 adults had to tentatively walk through the water to use it! This is my hotel of choice when I need to stay overnight in this area of Glasgow. The staff are welcoming, the bar and restaurant food very good and the rooms are quiet and well-furnished. It is easy to get onto the motorway from the hotel so my journey to and fro the city is easy. The hotel itself is excellent, perhaps we were unlucky but first of all we could not get any hot water either in the shower or the wash hand basin. In all fairness, someone came immediately & temporarily fixed it long enough for us to get showers. The other thing was that the hair dryer didn't work so had to get another from reception but the flex was not long enough to use it while using the mirror. When we spoke about these matters to the receptionist, we did not receive an apology which I thought was unprofessional. The room itself was excellent. The hotel is in the perfect location for the secc free car parking is very helpful in the city as this can usually be quite expensive. You are met with a friendly face and the staff are very helpful.The rooms were a good size with a lovely en-suite.We had a great nights sleep and an exellent buffet breakfeast in the morning.Highly recomended. As soon as we arrived we realized that was not the hotel we thought we booked in, the Reception area was really neglected and smelled very bad (still now) which you can smell in the lift and the corridor as well. The first room they gave us was dirty, smelly, and horrible over all. After asking twice, the manager, really nice, professional lady, moved us to another room, nicer but still not what advertised, and same as the first one just a bit cleaner but very old. The new room, however, did not fix the bad experience overall as the hotel is really old, smelly, dirty and not what advertised on Agoda or Campanile website. 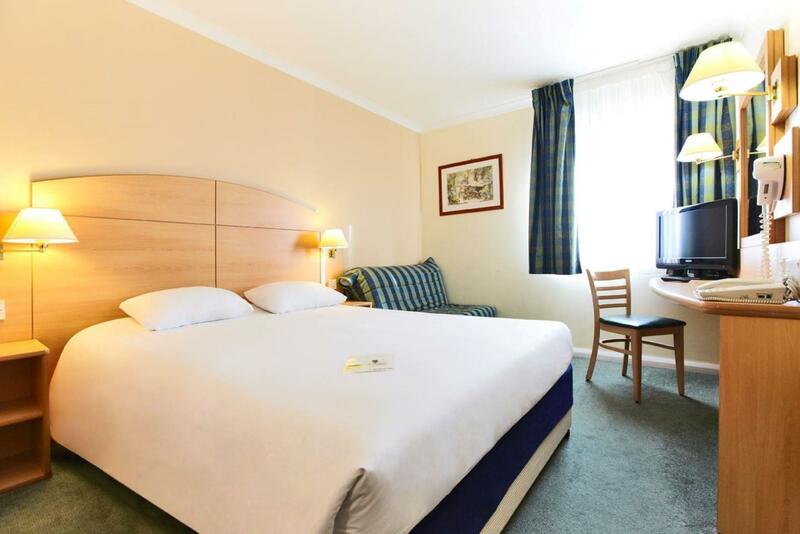 My suggestion is to look for another hotel for your stay in Glasgow because even if you want something cheap this is really not worth it and is not even cheap enough for what they offer (or don't). สถานีรถไฟ Exhibition Centre - ระยะ 0.26 กม.